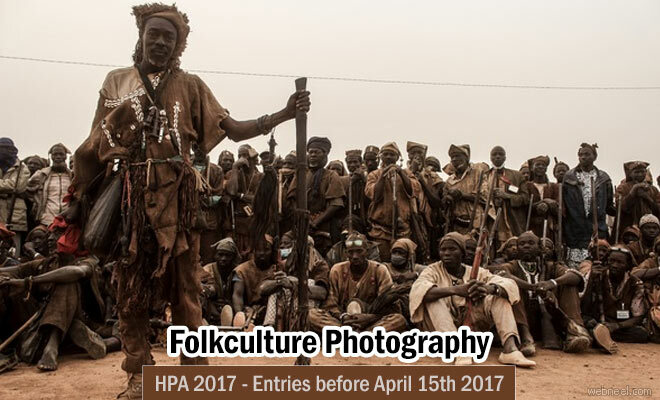 Welcome to the 10th HPA awards 2017, the Humanity Photo awards was started in the year 1998 which mainly focuses on the folk culture of people across the world. HPA is organized by 'The China Folklore Photographic Association' and 'UNESCO'. You can submit images in any of these categories and entry is absolutely free. You could become the grand winner and take away prizes worth $2000. The winners will be announced on September 16th, 2017 with a gala event. Visit www.hpa.org.cn/, mouse on Submission, then click Submission Guide from a drop-down list on the menu.